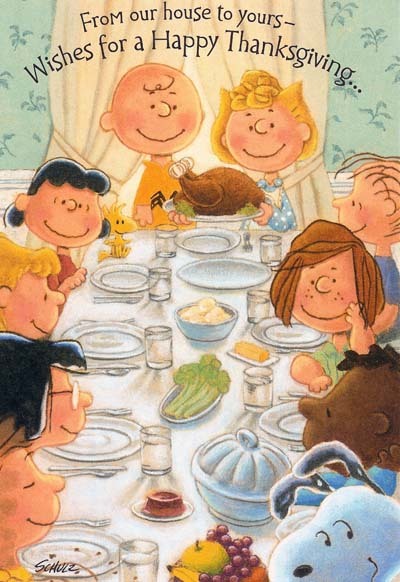 It does my heart good to see those Peanuts characters having real Thanksgiving food instead of popcorn and toast! Ha ha ha! Happy Thanksgiving!